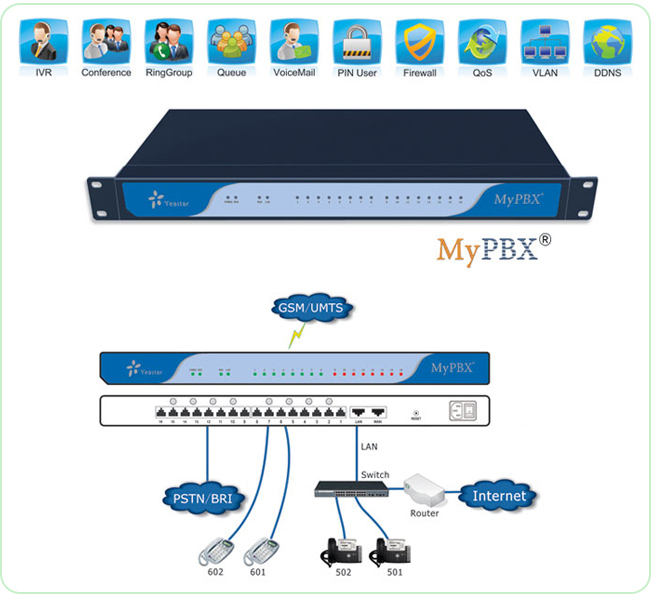 MyPBX Pro is a 1U rack mount model IP PBX for up to 100 users. Internally, it supports network access to ISDN BRI, PSTN, GSM/UMTS and VoIP. High performance, stability and compatibility, combined with rich functionality make MyPBX Pro perfectly suited for your business communication.